Mumbai, August 7: Don't be the rule; be the exception… As rule chains mind, exception frees the mind said the famous chef Sanjeev Kapoor when he describes his kitchen journey. Kapoor says that when I decided to pursue Hotel Management, people said "He's so good at his studies. Why does he want to become a chef? "In India, men in the kitchen were quite taboo. This is not the case anymore. 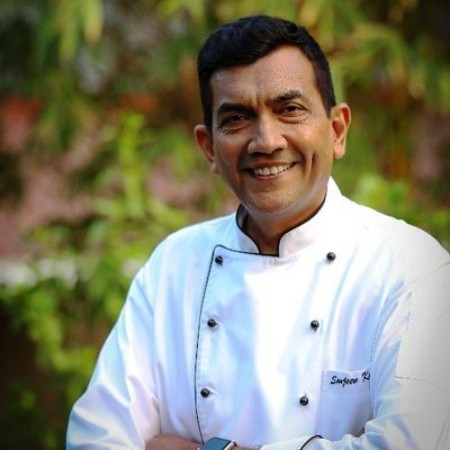 With a charming smile and ‘beyond compare’ cooking skills, the soft-spoken chef Sanjeev Kapoor has been ruling the hearts of Indian households for decades. The first name that comes to mind when one needs a reference to try out a new dish is Sanjeev Kapoor and with his longest-running show Khana Khazana, he not only grabbed the attention of women, but also men who love to cook. “I’m lucky to be born in a family of foodies, and cooking has been an integral part of my life during my growing up years. No matter where I go and whatever food I try, some of my favourites were, are and will be the simplest dishes made at home by my mother. So, quite obviously, my style has also evolved from there,” he shares.